This week I had a major craving for Okonomiyaki and it’s not something I can go out and buy easily in Australia. So I figured I was going to have to set to and make my own. Okonomiyaki has been described to me in various ways as a pancake, fritter, omelette or pizza. To be honest none of these are a great description, it is what it is, I haven’t seen an equivalent in other cuisines. I adore most Japanese food. 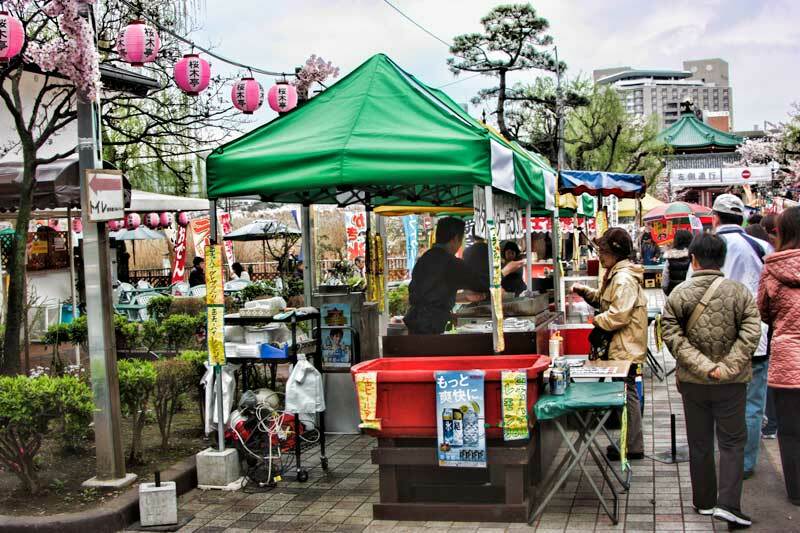 I even enjoy Japanese fast food, especially the kind you can buy from the little carts and vans around a festival. While we’ve eaten some excellent meals in restaurants all around Japan I also have special memories of the festival snacks. I think it’s because the magical events and experiences infuse themselves with the flavours in your memory. Some of the best that come to mind are under the cherry blossoms by the lake at Ueno Park in Tokyo, near the famous weeping cherry tree in Maruyama Park in Kyoto, dwarfed by snow sculptures in Sapporo or alongside the Nagahama Hikiyama festival Floats. All sorts of treats are available during a festival but okonomiyaki hot from the griddle is one of my favourites. Directly translated it means (o-konomi) what you want (yaki) grilled. Different variations exist all around Japan with the biggest distinction being the Hiroshima style has a noodle layer, is more difficult to eat with chopsticks and is VERY filling compared to the Osaka style without the noodles. The Osaka style is basically what you find across all of Japan except Hiroshima. Tokyo has it’s own slight variation called monjayaki which is made from a much wetter batter, it’s nice but not as good in my opinion. 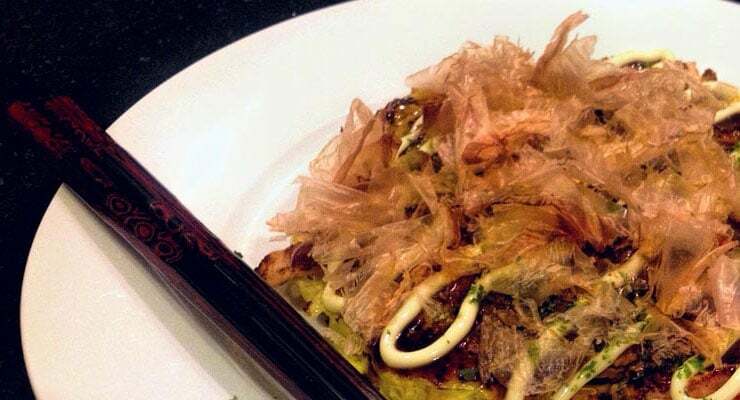 While we don’t have a local Japanese grill that serves Okonomiyaki we are lucky in Brisbane to have some excellent Asian grocery stores and even a small Japanese specialty grocery store. That means we can source packaged ingredients reasonably well and we also have an excellent selection of fresh produce in our Australian shops and markets. Also we love our BBQ over here and pretty much every home and apartment has a decent sized gas BBQ with a cast iron flat plate which is perfect for cooking this on. The idea of making my own wasn’t too daunting. 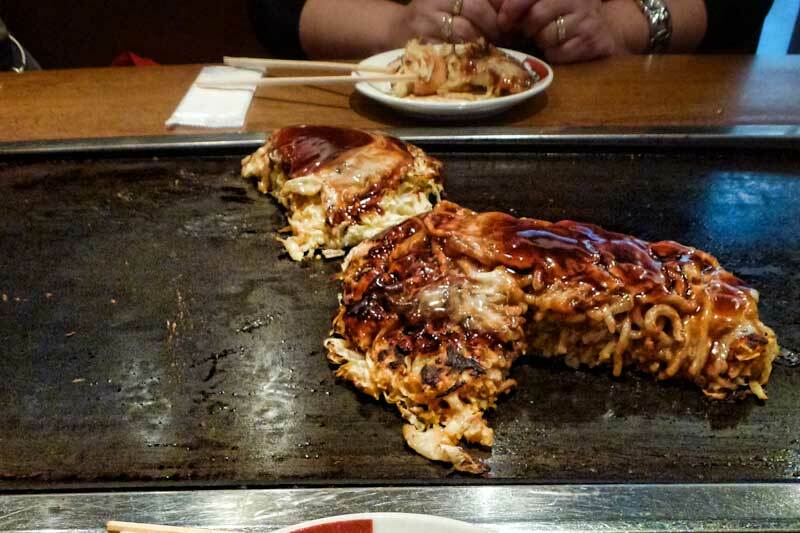 There are casual restaurants in Japan where the okonomiyaki is made on the griddle in front of you and left to cook and even some where you’re given the bowl of ingredients and left to mix and put it onto the grill yourself so I basically knew what goes into it, how to prepare it and how long to cook it. We’ve eaten it a few times over the years and various trips through Japan. Most of the recipes I’ve found written down are more like fritters for my taste, they use too much flour making it a bit doughy so I was excited when I found Ochikeron on YouTube had a gluten free okonomiyaki recipe that inspired me to start experimenting more on my own and eventually leaving out the flour altogether. There is nothing worse than a dish where the flour isn’t properly cooked off and while I don’t eat a gluten free diet this recipe without any flour surprisingly created the closest result to what I remember eating in Japan. Also my pantry already overflows with standard flour, bread and self raising flour, potato, rice and corn starch I really didn’t want to add okonomiyaki flour to the chaos. I’ve made this Okonomiyaki recipe a couple of times now and it is very easy. As a variation I sometimes add a few prawns, some squid or other meats I have on hand to the mix. With the large sized prawns we have here I would lightly cook them at the start then press into the batter again when formed into a circle in the pan to keep them juicy but ensure they are cooked through. I strongly recommend finding the correct condiments but if you don’t have access to a Japanese supermarket an acceptable substitute for Okononomiyaki sauce can be made from a combination of tomato and Worchester sauce. I do suggest searching out a Japanese mayonnaise such as the Kewpie brand, you may even be able to get it from your local supermarket. For all other purposes I always make my own home made mayonnaise but for a novice trying to replicate Japanese flavours it’s best to buy it in the bottle. As a word of warning though, I don’t know for certain but I have been told that MSG is added to the mayo to give it that delicious creamy umami flavour, if you’re sensitive to it you may want to give it a miss. Add the finely shredded leek and allow to cook. Add the shredded cabbage, the pan will be very full but gently turn as it cooks down. Remove the mixture from the pan and split between two bowls, to each bowl add 2 lightly beaten eggs, salt and pepper. Mix well. Wipe the pan lightly with oil then add one bowl of mixture at a time to the frypan. Form into a neat circle and flatten down to about 2cm high, use a spatula to push back any egg mix that runs away. Put a lid on the pan and allow to cook slowly for 3 minutes. Turn the okonomiyaki and replace the lid, allow the second side to also cook for 3 minutes. Top the okonomiyaki with the sauce and spread with the back of a spoon. Apply the mayonnaise in a squiggle pattern then create pattern by dragging a chopstick or the edge of a spoon through it. Scatter with finely ground nori and a good handful of shaved bonito. Disclosure: This article contains affiliate links. This means that if you make a purchase after clicking on one of these links we may receive a small commission at no extra cost to you. Hi Toni, I loved eating this in Kyoto. I am having a friend over for dinner tonight and I was going to have a curry (I’m a curry freak). I am tempted to make this but then I shouldn’t really try something new when I have visitors! I will definitely try it sometime soon though.